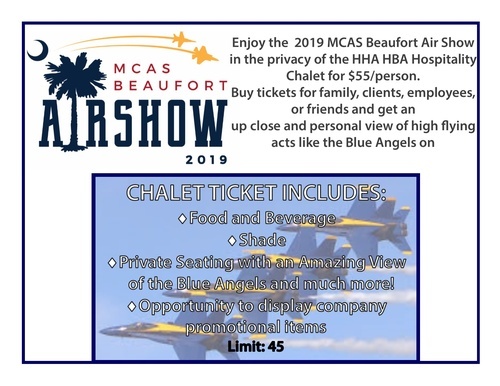 Join the HHA HBA at the 2019 MCAS Beaufort Air Show in the shade and comfort of a premium chalet! For $55/person you will receive private, covered seating, food and drinks, an opportunity to display company promotional materials. Treat your clients, family, friends, or neighbors to an experience they will never forget! Act now, this opportunity is only open to the first 45 who sign up!